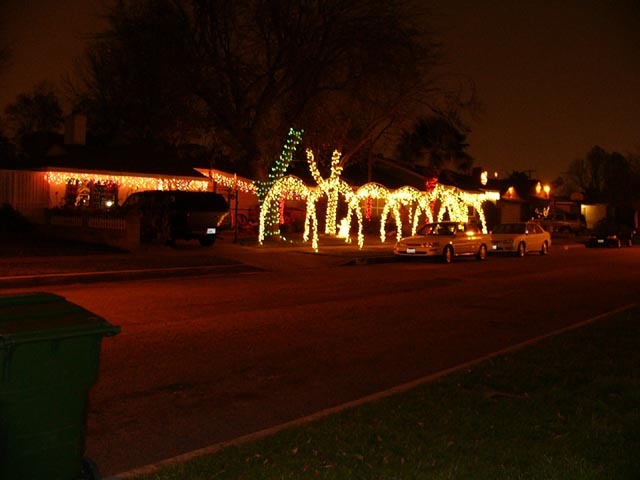 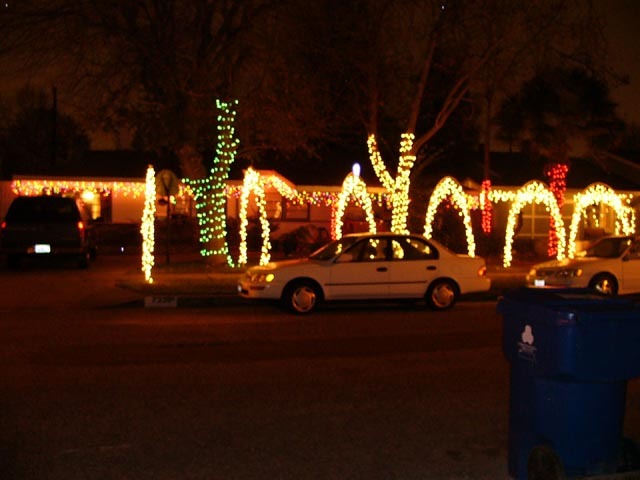 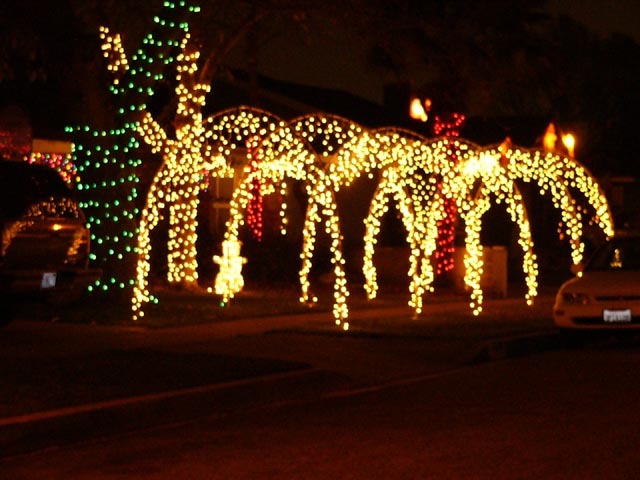 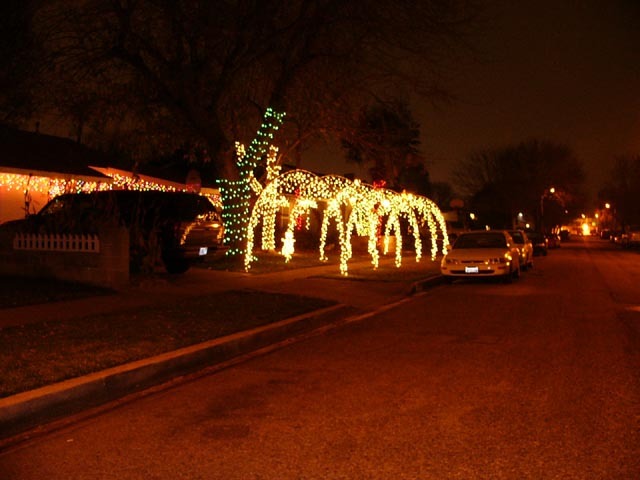 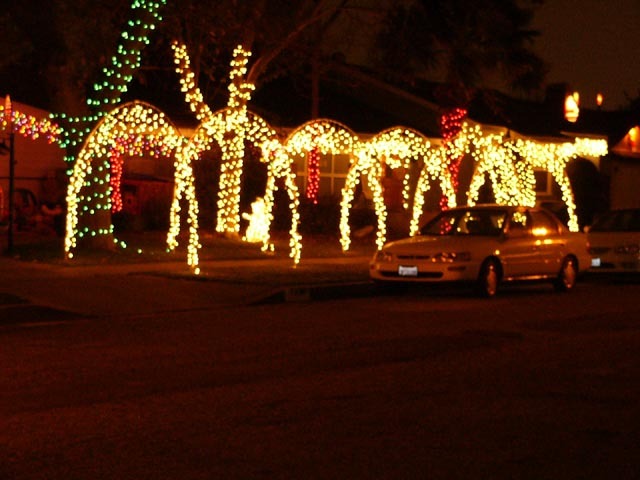 Here is my 2004 Christmas light display. 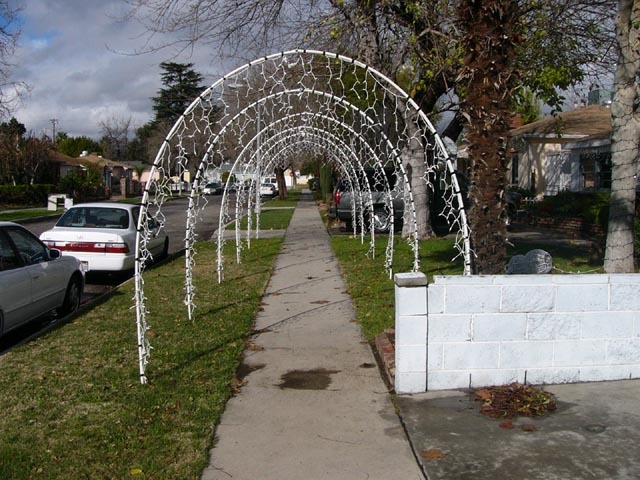 I install these for my clients in the San Fernando Valley. 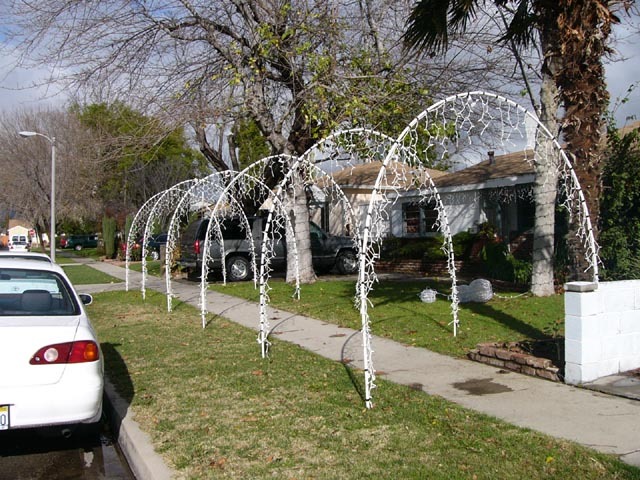 I make the arches out of 1/2 inch PVC pipe held in place by 3 foot rebar stakes. 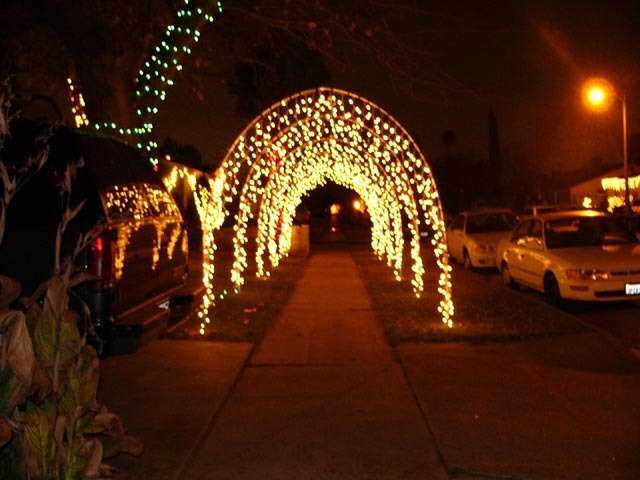 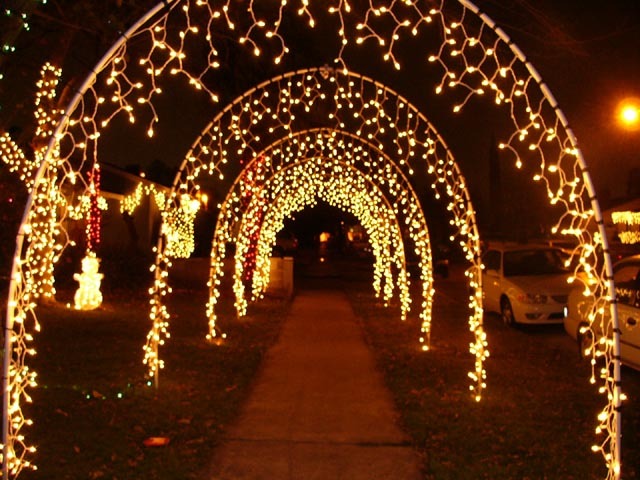 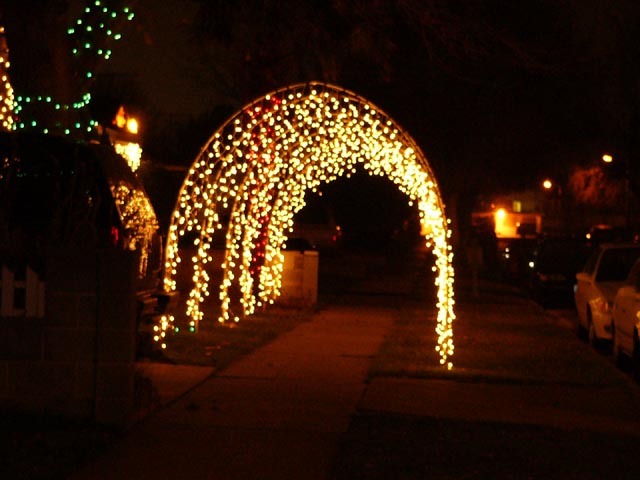 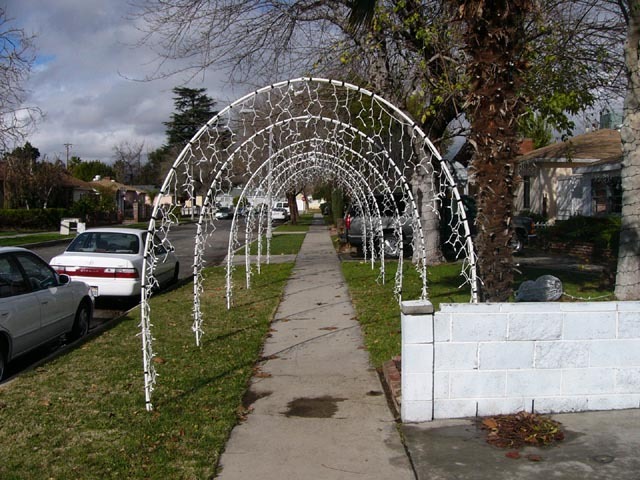 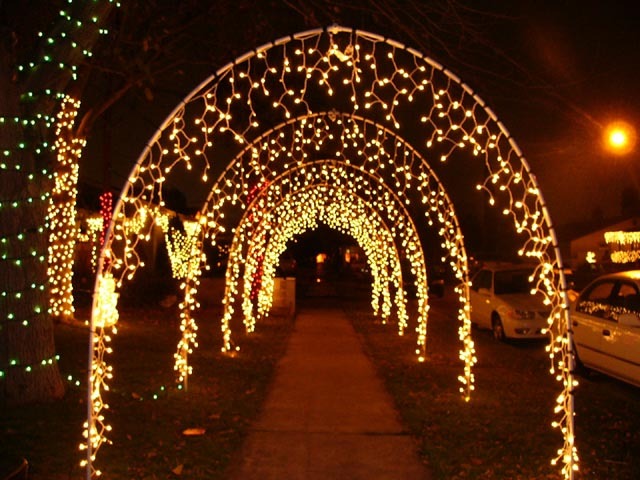 Each arch is 8 feet tall and 8 feet wide with 300 lights on each.